Since starting a ketogenic diet we’ve been on a never ending search for a good cracker. It’s really the hardest void to fill in a keto diet. When we stumbled upon Flackers we thought our problem was solved! Flackers are a good, pre-packed flax seed cracker. After buying them a few times we started to realize these might be pretty easy to make on our own, plus flackers are expensive at $6 a bag. 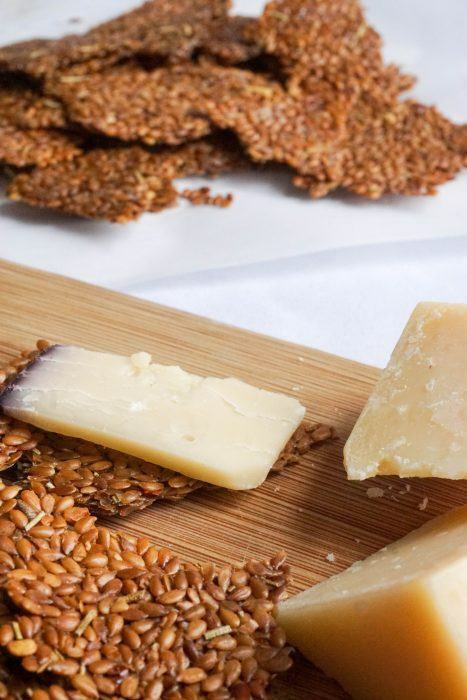 We got to working on a flax seed crackers recipes and low and behold, it was surprisingly easy! This super simple flax seed crackers recipe can be pulled of with only 1 ingredient…Flax seeds! 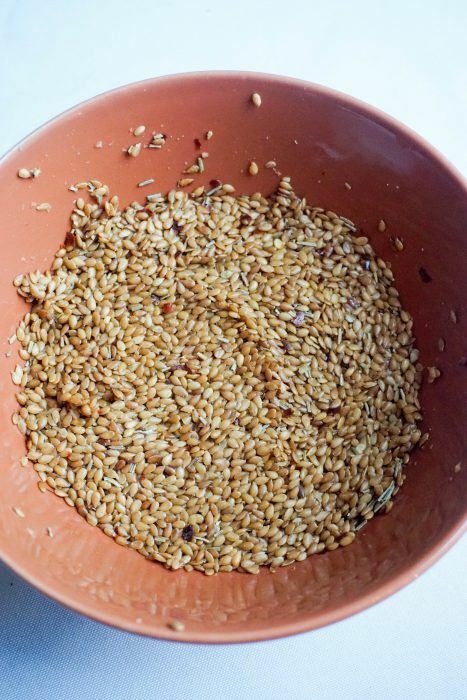 The downside to this incredibly simple recipe is that you have to soak the flax seeds overnight. Soaking overnight allows for the flax seeds to bind together and will result in a cracker. The shortest amount of time I’ve let them soak for is 8 hours, and the longest was about 36 hours. I like the results slightly better at 36 hours, but there honestly wasn’t a huge difference. The 36 hour soak flax seed crackers recipe seemed to hold together marginally better, but anything over 12 hours is unnecessary. Where Do I Find Flax Seeds? Flax seeds are just about everywhere now a days. We get ours on Amazon, but we’ve found them in just about every grocery store. I recommend getting the “golden” flax seeds, as those taste better when prepared in this way. 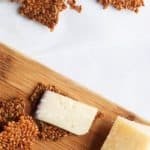 The golden flax seeds have a nice, nutty flavor that is an especially good compliment to a cheese plate, which is what we normally use these for. Add flax seeds, water and seasoning to a mixing bowl. Mix until seasoning is evenly distributed. Cover and place in the refrigerator for 12-18 hours. Place flax seed mixture on a sheet of parchment paper. Place another piece of parchment paper on top and roll out. Make them as thin as you'd like. The thinner you get them the crispier they will be. Bake at 275 for 50-60 minutes with the parchment paper on. Make sure it is crispy and all moisture is gone. Allow to cool for 10 minutes. Break into pieces and enjoy!